I miss him greatly. It's hard to have a chinchilla for five years and then have him just pass on. His little personality and face won't be there anymore. That hurts so much. 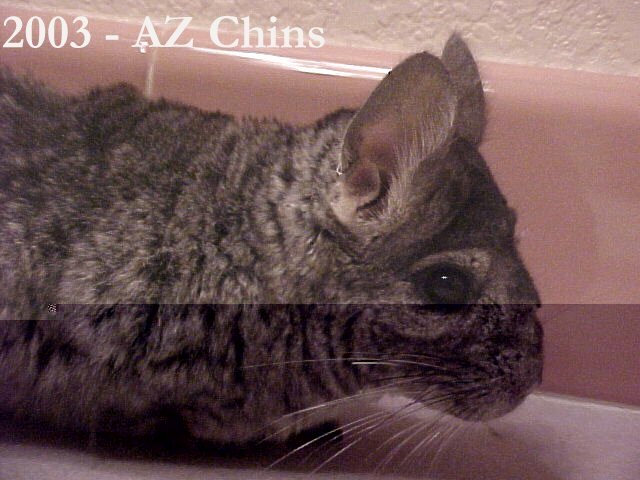 Although his picture on this page doesn't show it at all, he was a beautiful little chin. He was never a problem and was always friendly and happy. Good bye, little fella. Having you here was an amazing gift and I will never forget you and your little fuzzy face!